Q. I understand there’s a way to get my student loans forgiven if I work for a non-profit hospital. How does that work? A. You’re referring to the Public Service Loan Forgiveness (PSLF) program. This federal program allows you to have the remainder of your federal direct student loans forgiven, tax-free, if you make 120 monthly payments under an eligible payment plan while being employed full-time by the military, Veterans Administration, or a 501(c)3 employer (ie, a non-profit employer). Eligible payment plans include the standard 10-year repayment plan along with three income-driven repayment (IDR) programs: Income-Based Repayment (IBR), Pay As You Earn (PAYE), and Revised Pay As You Earn (RePAYE). These IDR plans also have a forgiveness component to them, which doesn’t require you to work for a 501(c)3, but they require 20–25 years of payments, after which most emergency physicians (EPs) would have paid their loans off anyway. The amount forgiven is taxable. Thus, PSLF is really the only federal forgiveness program that most EPs should consider. Most residency and fellowship programs qualify as non-profit employers, as do many academic positions and some community emergency physician positions. Bear in mind that working in a non-profit hospital doesn’t necessarily allow you to qualify. You must be an employee of the hospital, not a partner or employee of a private group that contracts with the hospital. A typical EP with a typical medical school debt burden wouldn’t have any debt left to forgive after making 120 monthly payments under the standard 10-year repayment plan. The secret to actually receiving economic benefit under this program lies in enrolling in one of the other programs. PAYE and RePAYE have the lowest required payments—10 percent of discretionary income, which is defined as the difference between your income and 150 percent of the poverty line for your geographic area and family size. Note that the payments have nothing to do with the amount or interest rate of your debt. During residency, RePAYE is often the best program to enroll in because it may actually subsidize the loan, lowering your effective interest rate. PAYE is usually the best program after residency because, unlike RePAYE, it caps payments at the 10-year standard repayment plan amount. The amount left to be forgiven after 10 years of payments turns out to be essentially the difference between what you would’ve paid under the standard repayment plan and what you did pay under an IDR plan. So, a typical medical student may graduate with $200,000 in debt, which grows to $250,000 during residency (IDR payments don’t even cover the interest on the debt). The student then pays it down to perhaps $150,000 as an attending, at which point the rest is forgiven. The more payments you make that are less than the standard payments, the more debt is left to be forgiven after 120 payments. This leads doctors to use a few strategies to try to maximize the amount forgiven. First, some types of loans (eg, Federal Family Education Loans and Federal Perkins Loans) don’t qualify for forgiveness unless they are consolidated into a Federal Direct Loan. Second, you can enroll in an IDR program and start making payments late in your fourth year of medical school, essentially increasing the percentage of payments you make while your income, and thus your payments, remain low. Third, contributing to tax-deferred retirement accounts during residency further lowers your income and your required payments. Finally, some physicians married to high earners find it advantageous to file their taxes as “married filing single” while enrolled in an IDR program. Even though this often increases their combined tax burden, it can also reduce the borrower’s income (at least in the IBR and PAYE programs) and thus their spouse’s required payments. A longer training period can also help maximize forgiveness. A physician who spends seven years in residency and fellowship may need to make full payments for only three years as an attending before receiving forgiveness. 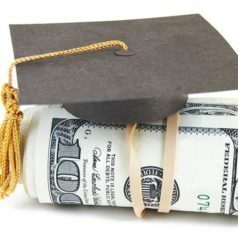 Private student loans are never eligible for PSLF, and the best strategy for managing those usually involves refinancing to a lower rate as soon as possible (usually shortly after medical school graduation) and paying them off early in your career. Several lenders allow very low payments during training, just like the federal IDR programs. Caution: Refinancing your federal direct loans can be a big mistake if you later end up working for a 501(c)3 after residency graduation. Another common error is putting your loans into forbearance or deferment during training, which prevents the accumulation of lower IDR payments that would later allow for significant forgiveness under PSLF. 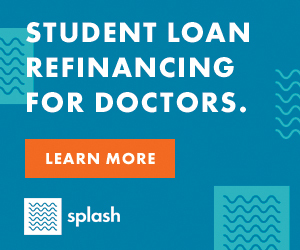 If you make IDR payments throughout residency and work full-time for a 501(c)3 after residency, going for PSLF instead of refinancing the loans generally works out better mathematically than refinancing, even if the interest rate is higher. What if Congress Changes the Rules for PSLF? Many students, residents, and attendings worry Congress will change the rules and take PSLF away. That is a significant risk—both the Obama Budget of 2013 and the Trump Budget of 2018 proposed doing away with the program as we know it. The Prosper Act, currently in House committee, would also cause significant changes to the federal loan programs if it becomes law in its current form. However, in the past, when federal student loan programs were changed, those currently in the program were usually grandfathered into the old program. A good way to hedge this legislative risk is to make large student loan payments as an attending that would allow you to pay off your loans within two to five years after residency completion, but make those payments to your own investing account. Then, if something happens to PSLF, you can simply take those funds and pay off the loans. If you do receive forgiveness, you can use that money to bolster your retirement nest egg or other savings goals. Some worry about the morality of not paying back borrowed money when you have the means to do so. My response? Hate the game, not the player. I see loan forgiveness no differently than using a tax-advantaged retirement savings account or taking the child tax credit. We have no duty to leave money on the table that we legally qualify for, even if we disagree with federal student loan policy. Since PSLF was instituted in 2007, the first borrowers are just now starting to receive forgiveness after making their 120 monthly payments. As the years go by, you’ll see more and more physicians receiving this federal benefit. Managing your student loans well will increase your financial security and allow you to take better care of your family and patients. Have you gone for PSLF? What strategies have you tried for maximizing the amount forgiven? Comment below! Relevant and timely post, WCI! 1) You mentioned filing taxes “married filing separately,” which does provide an advantage for some of the programs (most notably PAYE – which will consider your incomes separately if filed this way). However, REPAYE considers your spouse’s income regardless of your filing status. So, filing separately has no advantage under REPAYE, which is why if you are married to a high-income earner you should probably not enroll in REPAYE since you will probably not get the subsidy. 2) In order to take part in PAYE and IBR you have to prove Partial Financial Hardship (PFH). I completely agree with you that the best plan for PSLF (if you are not married to a high income earner) is REPAYE during training and then PAYE after training. The key is that you need to apply for PAYE in your last year of residency while you can still claim a PFH. If you wait to use this until after training to lower your payment the government will say that you no longer qualify with attending physician pay. So, REPAYE during late med school – or as early as possible in intern year – and then switch to PAYE in last six months of training. P.S. Completely agree on the taxable account as a way of dealing with PSLF and the possibility that it may go away. I advise the same thing to my colleagues who are pursuing PSLF. I don’t even know that it has to be a taxable account if you still have tax-protected space available. The point is that just going for PSLF doesn’t get you out of “living like a resident” for a few years. Obviously if PSLF and you had put the “side fund” into a tax protected account you might not be able to raid it without penalty, but at least your net worth would be a little higher to make up for that fact. Never thought about this and don’t feel like googling it… Can a 529 be used for student loans on this situation? Interesting thought – use a 529 with yourself as beneficiary and then if you get PSLF change the beneficiary to your kid. I don’t think you can do that. Paying off student loans aren’t an eligible education expense. But there was a bill in Congress last year that would have allowed it! I don’t think it got out of the Ways and Means committee. 1. That’s right, the MFS trick only works with IBR/PAYE. 2. I suppose if you didn’t still qualify for PAYE you could do the standard 10 year plan- for most docs the payment is the same as an attending. When using the calculator the standard 10 year plan will actually change to a “30 year plan” if you owe a certain amount of money. This keeps even the standard payment under 2k on 300k loans. And financial hardship doesn’t matter on this? For PSLF it may be worth it if you start to earn too much. Also, would be interested to see what people think about roth 403b (or roth govt 457) vs non-roth contributions in dual income household with high student loan debt (300k each). Worth having the roth money or better to reduce student loan payment? Isn’t the partial financial hardship a function of both your federal student loan burden and income? If you have many multiples of your income in loans then you will qualify for a partial fininacil burden even at your attending salary. Also, you need to recertify every year that you still have that partial financial hardship so applying during residency doesn’t guarantee 7 more years of an IDR plan. If you have a baller salary then applying during residency probably only gets you another year of lower payments. Once you recertify with a 400k salary then you may no longer have that financial hardship. I’m a pediantrician so make 155k with loans holding steady at 250k. My partial financial hardship under IBR (wife refinanced as a PM&R doc so can’t do REPAYE and first loans taken out before PAYE started) results in a payment of about $1200/m instead of $2400ish/m. I don’t expect my payments to change much for the next few years. Has anyone actually received PSLF? How did it go? Nonprofit healthcare systems are being bought out all over the country. Often, hospital executives are older and unaware of PLSF when making these deals and flooded with complaints once the deal is announced. We have several friends with ~2 years of payments left on their PLSF (out of 10 years) and are now screwed. Now they’re moving their families across the state or country to avoid working for a for-profit healthcare system. Oh, that’s a nasty surprise. Here’s a question – do HPSP med students count as employed by the military during school? Imagining someone with large undergrad/prior career education debt deciding to go to med school on HPSP, could conceivably have pslf by the end of training, for sure by end of their service obligation. I don’t think being employed by a 501(c)3 during school counts, only during payback. And you have to be full=time. And that would only count for the loans you took out at the beginning of school; it wouldn’t help much with MS4 loans. At any rate, I don’t think you’re considered a full time employee of the military. For PSLF, eligible payments must be REQUIRED. When in school, they are not required. So if you have in-school status and also work full-time, any payments you make would not count. 1.) I haven’t spreadsheet-calculated this out, but just on first thought is the investing in a side fund just in case strategy able to actually pay off the loan if PSLF goes away? If the program goes away on a person’s 10th year of payments, will a side fund cover ~10 years of interest that will have accrued on the balance from having made only minimum payments through an IDR? 2.) I know you had written an article about this already (The Moral Hazard of Loan Forgiveness), and I was thinking about how with PSLF there is no incentive to minimize loans or even be thrifty for that matter (if the plan is to get a large portion forgiven anyway). Is there a max amount that can be forgiven? 1. Yes, if you put enough in there that it would pay off your loans in 5 years. That’s the point. You have to live exactly the same way as if you were paying off the loans. This isn’t a rinky dink little side fund. It’ll be a six figure amount, just like the amount of loans to be forgiven. I’m talking about putting high 4 or even low 5 figure amounts into it each month. 2. No max at this time (although the Obama budget of 2013 proposed a limit of $57K). Yes, there is serious moral hazard here and at least some legislative risk. My wife and I are almost out of residency with just over $700k (darn out of state schools). Running two scenarios of 1) refinance at 3% and pay off as soon as possible and 2) minimum payments, shunting the money towards a taxable account and using PSLF, the differences are significant. Utilizing PSLF, we would have $858,000 forgiven at the 10 year mark after paying $302,000 towards them. It represents a savings of around $400k in payments vs just paying them off. I see no moral hazard here given the ungodly price charged for school. My question would be if you have any thoughts on a reasonable savings account for PSLF backup? My thoughts are 1) a high-yield savings account, such as the GS Bank 1.8% or a 5 year CD, 2) money market fund, 3) long term gov bonds. Those choices are all fine. To be honest, I think I’d take more risk than that with the money because I think the chance of having to use it to pay off the loan is pretty low. I’d invest it in equities or at least a balanced fund. But that’s mostly a risk tolerance thing. My husband is a pharmacist with Public Health Service (PHS) and I am an optometrist with a large HMO. PSLF has worked well for us as we were able to pay off all my loans quickly and do an income based repayment for my husband. We file our taxes as Married Filing Separately to keep his payment low. (It was a $323 penalty- well worth the savings.) We live in CA which is a community property state- meaning our income is added up and divided in half- I wonder if this could be advantageous to a couple with a high earner and a spouse who makes significantly less reducing the overall AGI (and thus income based repayment) of the high income earner applying for PSLF in community property states. Yes, two earner couples going for PSLF often file MFS to reduce IBR/PAYE payments and have more of the student loan left to be forgiven. Is there a way to get any (or all!) 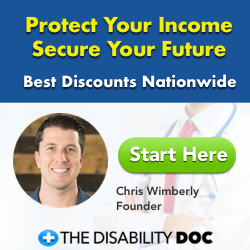 of your medical school student loans forgiven when you’ve incurred a disability? I have job-specific disability insurance (from not one but two sources – thankfully!) but am unable to work in my chosen field due to brain surgery not but two years after completing residency. No, you’ll need permanent and total disability (not just “can’t work in my chosen field”) to get federal loans forgiven for disability. I am an anesthesiologist and a partner in a large medical group while my wife is a state prosecutor. I paid my loans off quickly within 2-3 years of being an attending and my wife is doing PSLF. She has 5 more years to go. We maximize it by filing MFS, she also maxes out her 401k AND 457b (governmental), which lowers her AGI by a lot. As a result, her required monthly payments are very low. We basically live off of less than half my income, and save/invest whatever doesn’t go to taxes. My loans from my first year of med school were FFEL and the remainder are Direct Loans. I’ve been making IBR payments in residency (4.5 years) but the FFEL loans are not eligible for PSLF. In hindsight I should have consolidated but that freaked me out at the time to make an irreversible step. I mostly picked IBR because it applied to all my loans (didn’t have to consolidate) and it was a higher percentage (I’ve always planned to pay my loans myself, wanted to pay more interest as I went along). Does anyone know if I could pay the FFEL loans off and PSLF the rest? I think I’ll end up in private practice but that could be a nonprofit health system as an employee. Yes, you can pay anything off you like and anything you pay off obviously won’t be forgiven. I have been reading a lot about PSLF and I am confused why it is recommended to do REPAYE during residency as a single person when the payment amount for PAYE and REPAYE will be the same during residency. Isn’t it just better to do PAYE from the beginning to simplify matters instead of doing REPAYE during residency then switching to PAYE right before becoming an attending? I understand that there is subsidy in REPAYE, but why does that matter if you plan on having your loan forgiven at the end? Good point. Doesn’t matter (in fact, PAYE better due to not having to make that one full payment when you switch) if you know FOR SURE that you’re going for PSLF. But that’s a bet I think most would prefer to hedge. I have a question regarding physicians in the state of CA. As many are employed by a for profit medical group, despite working for a nonprofit hospital or in an underserved and qualifying area, I have heard that they do not qualify for PSLF. I know the California Medical Association was working on correcting this in 2016, but have not been able to find any news recently. Would you or anyone else happen to have information regarding the feasibility of applying for PSLF in California? I think the article is incorrect, or at least, misleading. The article implies that there have already been proposals to eliminate PSLF (Obama/PROSPER) for those with loans, but that’s not true. The Prosper act proposes to stop PSLF for FUTURE borrowers only. It would not require “grandfathering” as the law as written ALREADY has grandfathering built into the act. In fact, it allows those with existing direct loans to take out ADDITIONAL (PSLF-eligible) loans. I fear that folks are going to read the post and think that PSLF is on shakier ground than it is. So it only impacts loans taken out after July 1, 2019. It’s only probably pre-med students who should be concerned. Not current residents, for example. The “significant risk” in the quote below is not a risk for current MDs. That is correct. I haven’t even seen a proposal that suggested anyone currently in the program wouldn’t be grandfathered in. That said, there’s nothing keeping Congress from doing that should they so desire. Seems unlikely to me, but it is a “significant” risk that I would not ignore. No matter how significant you believe it is, the solution to it is the same- pay off your loans quickly, but pay them off into your investing account so you don’t come out behind if PSLF goes away. I’m a bit late to the party and am applying to have the remainder of my federal loans forgiven. For the past 7-8 years I’ve paid down/off my private loans and high-interest loans. When talking with my lender (now navient), I’ve been led to believe that my payments, which have been ‘level’, may not qualify. You do have to be in a qualified repayment program- ICR, IBR, PAYE, REPAYE, or the standard 10 year repayment program. Not sure what you mean by “level” but if it is the standard 10 year plan, they should qualify. Thank you for quick response. Let me clarify. I’m looking at a consolidated Federal Direct loan that is on a 30 yr repayment (7 years in). I suppose level means that my payments are the standard option as I cannot find anything on my lender page indicating any other repayment type (ICR, IBR, PAYE, REPAYE). I spoke with navient again and they believe that I qualify. I plan to start back-filing my 501(c)3 employment record asap. Any other thoughts, suggestions, or considerations that I need to be aware of? Payments under a 30 year plan don’t qualify for PSLF as far as I know. But if they give it to you, I’d take it! One thing to think about is if you “accidentally” put yourself in “paid ahead status”. We accidentally did this with my wifes student loans while we were paying extra, hedging because she thinks she’ll do private (still a fellow). Supposedly our direct debit which still occurred monthly didn’t count because of this paid ahead status. Interestingly, I also recently saw that if I entered into the standard repayment plan it would pay over 30 yrs- but it’s still the standard plan so I’m not sure why it wouldn’t qualify for PSLF.